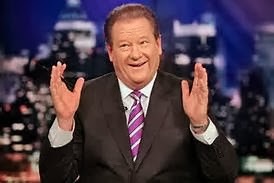 I talked to Ed Schultz today. Those who know me likely find that surprising. They might ask why someone who constantly beats his head against the wall trying to get people to quit listening to the corporate media would waste his time with someone who many regard as the ultimate gatekeeper of the left. After all, they could point out, how else does someone get the privilege of hosting both a national call in radio show and a nationally televised show on the “liberal” MSNBC channel? Most people who understand how the corporate media defines the terms of political debate in the US have concluded that all such shows do is reinforce phony narratives that obscure the real problems and their solutions. Why bother trying to influence these talking heads? Try as it may to appear otherwise, MSNBC does not challenge its corporate sponsors any more than FOX. Both are little more than echo chambers for what the corporate media defines as the “left” and “right. “Anyone who discusses the issues in terms of how they reflect on corporate power in the US is labeled “far left” at best, and “radical” if they lay the facts out too plainly. When someone like Schultz is the most popular voice for “the left” in the mainstream media, you might conclude that it is time to turn off the radio. I have to disagree. While I don't spend a lot of time listening to the nonsense that passes for progressive talk radio most of the time, I do think there is a value in joining a conversation listened to by millions. I caught Schultz’s radio show on my way to the store, while changing CD discs of a book on tape. I listen to them when I am driving to escape the nattering of radio pundits on both sides of the corporate media-created left-right divide. He was talking about an issue that is a pet peeve of mine: health care reform. Or rather, he was talking about Obamacare instead of health care reform. Okay, I’ll admit that is a slight exaggeration. Obamacare does insure millions of people. However, it does so at an enormous expense to taxpayers and policy holders, as will soon become too obvious to deny. If partisan Democrats like Schultz don’t start acknowledging that Obamacare is only a short term compromise, they are going to set back the cause of universal health care even more than they did when they fell in lockstep behind the Public Option, despite its being revealed as a bait-and-switch by Senator Chuck Schumer (D-NY) in 2009. Even Harry Reid has admitted that ACA is at best a small step in direction of the only real solution, a single payer system. I pointed this out to Schultz, but he ignored it. Apparently, it didn’t fit with the narrative he has bought into to explain why he is still supporting a plan that bears no resemblance to what he advocated for so strongly in 2009. Failure to quit defending Obamacare before it collapses will cost the Democratic Party dearly in the long run. When health care inevitably becomes more expensive than tax payers will tolerate, voters who know nothing about health care economics will conclude that the Democrats lied to them. At that point, they will almost certainly conclude that the Republicans were right all along in saying that the US can’t afford to provide universal health care, as they do in the rest of the world. That is what happens when the “liberals” on talk radio let politicians and other pundits in the corporate media frame political debate. They just reinforce the fantasy that of the two parties that constitute the Duopoly, one puts the interests of average Americans over those of its corporate backers. When they accept that, they have lost all credibility. Obamacare is in essence a bailout of a failing insurance industry that was on the brink of pricing its product out of existence due to uncontrolled costs. The typical plans now available to those who have to pay premiums on their own have high deductibles, making them too expensive for many people to use. Even the best plans provide little protection against medical bankruptcy, which is unheard of in countries with single payer. Under the “Affordable” Healthcare Act, the quality of health care coverage is eroding. This temporary measure to hold the line on premium rates is the only thing concealing the fact that Obamacare does almost nothing to control the costs of a private medical system that now consumes nearly 20% of US GDP. It would be more honest to call it the UNaffordable Healthcare Act. That is the main point I wanted to make, but Schultz was having nothing to do with it. Like all apologists for the Democrats, he trotted out the following arguments: “Obamacare is the only politically possible thing;” “There are some corporate Democrats, but we have to stand behind the party because the Republicans are so dangerous” and “Obamacare is a step in the right direction.” He ignored my argument that it is debatable whether it brings us closer to single payer, even though his good pal Harry Reid said the same thing. He dismissed out of hand the idea that Democrats will pay dearly when its true costs become apparent. His argument for doing so was astounding, even by the standards of corporate media pundits: He claimed that the cost was irrelevant! Apparently, he missed the whole debate about the debt “crisis,” the idea of which Democratic politicians have swallowed as wholly as Republicans. So have the voters. Why does he think Tea Party types keep getting elected? I am not going to try to go into all the details of the arguments I made, or Big Eddie’s inane responses. I am not writing this to sell the idea of single payer. Anyone who wants to look at the facts will conclude that we cannot afford any plan that allows the medical-industrial complex to keep sucking up 30% of every health care dollar while the total bill keeps rising. Insurance is the cause of the inefficiencies that are the main drivers of health care cost inflation, as Shultz has said many times. The only justification he can give for the idea that voters will accept the costs of Obamacare even while the corporate media and Democrats and Republicans in Congress insist that the nation is going broke is that sees short term partisan gain in defending the program. That is the problem with going along with the "politics of the possible." As long as we ignore the corruption in Congress that led Democrats to arrest single payer advocates instead of inviting them to the health care reform debate, what is possible will never be anywhere near what is necessary. In promoting the nonsense that all we need to do to solve our problems is vote Democratic, Schultz and other so-called progressive talk show hosts fail their audiences. If they really think Democrats can do the job, they have a platform they can use to push party leadership, just as Rush Limbaugh pushed Republicans to the hard right. Like Rush, they might even affect the outcome of a few elections if they were to be honest about the cost of basing voting decisions only on whether there is a D or an R after a candidates name. If they do not choose to use this power, we have a responsibility to not just tune out or to become progressive versions of ditto-heads (what you might call d-Ed heads). We must speak up and challenge the gatekeepers of the left at every opportunity. It’s not like you have to listen to them for very long to find an opening to make the point. When you hear them abandoning principle and letting the rest of the corporate media define the debate, call them and call them out. They probably won’t listen, but some of their listeners will. They are the ones we most need to come to the light. It should be obvious that the only reason war is possible at this point in history is the widespread acceptance of the idea that it is inevitable. With this idea so firmly entrenched in the minds of millions, few bother to question it. After all, there is no sense in trying to understand the reasons for war if it will not lead to any change. If the real causes of war were generally understood, Americans might ask whether they should allow them to be fought in their name. In a real democracy, the People would be responsible for the actions of their government. War has always been about controlling other people's resources. It is inherently inconsistent with the basis of democracy, which is recognition of the inalienable rights of all and the responsibility of governments to ensure them. A truly democratic government is one of, by and for the People. Not some, but all the people. If the rights purportedly guaranteed by the constitution are universal, then they are also the rights of the Peoples of all nations. The US has no right to deny them. As long as Americans allow their government to violate the rights of others, they mock the idea of liberty and justice for all. In doing so, they are enabling corporate powers that control the US government to deny these basic rights to themselves. It is Mankind’s oldest and greatest dream to rid the world of the scourge of war, yet at a time when the US military unquestionably dominates the rest of the world Americans continue to accept the obvious lie that they must waste their resources on the destruction of other nations. In a 2013 poll, over half opposed cutting the military budget even while funds to care for the poor are slashed. Are Americans such cowards that they would accept seemingly random US state-sponsored terror in the name of “freedom” and “security" forever if they knew wars were really fought for corporate profit? After NDAA and the revelations of NSA spying, would they still accept the loss of their constitutional rights in the name of "American interests" if they saw that these have been defined as the interests of transnational corporations with no loyalty to the US, its citizens, or humanity itself? If so, is there any price they will not pay? European citizens, despite having experienced war directly within living memory, are not much better at recognizing that their self-interest is served by opposing war. In the modern era, it has been argued that warfare is justified to fight threats to freedom. For decades, communism was seen as such a menace, when in fact it was merely a threat to the profits of global elites cooperating to carve up the resources of the planet. Now stateless terrorism is claimed to a threat and warfare the only answer. The Global War on Terror has provided cover for the global war on democracy and national self-determination. If those who are profiting from it succeed in creating a worldwide corporate Empire, no nation will be spared. Somehow, we have to make citizens of the US and other NATO countries understand that war is always about competition for resources and that this one is to secure all the resources of the planet for the benefit of war profiteers. Only then can they make a conscious decision about whether it is worth sacrificing the lives of their children and those of targeted nations. The fact that wars are conducted for the sole purpose of expanding the power of the ruling elite was well understood prior to the revival of the archaic notion of “democracy,” the idea that people can rule themselves. The ruling class never really relinquished its power. When the concept of divine rights of kings was questioned, the economic elite dusted off the ancient idea of democracy and systematically encouraged the masses to delude themselves into believing that they controlled their own national destiny and through their governments, protected their rights from foreign tyrants. The allure of the idea of democracy was so powerful that Americans failed to see the rise of tyranny within their own government. Somewhere along the way, the delusion of democracy became so ingrained that a majority seemed to accept the insane notion that the root of terrorism was that perpetrators were “jealous of our freedom.” What could be more ironic? 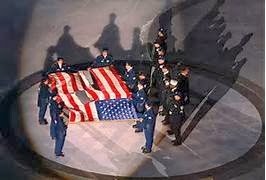 In the generations since the American Revolution that real cause of war has been forgotten by the People. A mythical version of American history has been created that clouds the minds of those indoctrinated by the American educational system. The outrage over Vietnam led to a glimmer of awareness of the connection between corporate power and war in the minds of that generation, but with the end of the war and then the end of the draft the lesson has been largely forgotten. That is how we came to be faced with the prospect of what the corporatocracy expects to become a permanent corporate-dominated New World Order. Only a revival of awareness that all just authority arises from the People can citizens of the United States use their collective power to help ensure that the last, best hope for Mankind does not perish from the Earth. For that, they will need the support of other NATO nations and the Peoples of the world, with whose fate theirs is intertwined. It is said that no two democracies have ever fought a war against each other. To the extent that is true, it is not by chance. “Democracy” has come to be defined by the ruling class as any form of government that submits to the will of the Anglo-American Empire and thereby concede sovereignty to the international corporations that dictate its foreign policy. If national interests are defined as synonymous with defending and expanding the wealth and power of the global elite that control these corporations, any nation that submits to the Empire is defined as "democratic." While citizens of NATO nations have come to equate democracy with the power of the vote in the absence of any other evidence of its presence, the majority fail to realize that their governments do not even apply the same minimal standard to others that they label “democratic” or “despotic,” friend or foe. The simple rule is that the enemies of any nation that is a threat to corporate power are friends of the corporatocracy, regardless of how such governments treat their own people. Under the guise of protecting citizens from their own governments, the US selectively targets nations that refuse to fall into line with the globalist agenda. The doctrine of "Responsibility to Protect" is nothing more than a noble sounding version of preemptive warfare. Condemned when adopted by the Nazis and outlawed by the agreements that established the UN, it has become official US policy, with the nearly universal support of the governments of NATO nations if not their peoples. The world is full of such potential enemies, of course. Any nation that does not submit to the dictates of the global elite and in particular the international bankers who are the real Puppet Masters of the show is by definition an enemy. Anyone who doubts this likely fails to realize that all of the recently targeted countries from Iraq to Syria had central banks that operated independently of the Bank of International Settlements, where global financial warfare is plotted. When the symbolic enemy of the Soviet Union collapsed under the weight of its economic inefficiency and the need to maintain an enormous military, it was not hard to find a substitute. Former allies became the enemy, as has become an ever more obvious pattern. It used to take years or decades for a former foe to become an ally. The process accelerated after WWII, when the US government made common cause with former Nazis where it served the purposes of the national security state and the economic interests whose interests it exists to protect. Today, yesterday’s enemy is today’s ally. The Mujahudin were recruited to fight the Soviets in Afghanistan. It leaders were listed in a CIA data base that became known for its Arabic name: al Qaeda. These useful idiots were later put to use in Bosnia, the southern tier of the former Soviet empire, the Mideast, Africa and even the US. The Empire has abandoned any pretense of forming alliances based on defense of “democracy.” It is openly using the same fighters it claimed it sacrificed thousands of Americans to defeat to wage war on weaker nations whose resources it covets. Millions of innocents who are killed, maimed or displaced are dismissed as collateral damage. Its naked aggression has become apparent to all but the most casual observer. That is why it is our duty to draw attention to the real reasons for war. If we believe that democracy is possible, then we must believe that humans are essentially good. Good people do not knowingly allow atrocities to be committed while they stand by. While willful ignorance helps explain inaction, so does the sense of helplessness that comes from blindly accepting the self-fulfilling prophecy that war is inevitable. We must help those blinded by a culture of self-interest to see the connection between war and the failure of democracy. Citizens of NATO countries are so distracted by their economic problems that they fail to see that those who have undermined their standard of living are the same economic elite who are expanding their Empire through economic coercion, bribery, murder and war in even less fortunate nations. They must be made to understand that injustice anywhere is a threat to justice everywhere. Democracy cannot exist in a society that tolerates injustice because it requires the acceptance of inequality that is antithetical to self-governance. Time is running out for humanity to decide. Will we stand by as the last, greatest hope for Mankind vanishes from an Earth dying from the ravages of exploitation, of which war is the most glaring example? Or will we fight for real liberty and justice, using the tools of nonviolent resistance while it is still possible? Democracy will only become real if we can see ourselves as basically good and capable of ruling ourselves in the best interests of all. This will not happen naturally. It will take our best efforts. Each of us has something to contribute and together, we can end war. It starts when we abandon the self-imposed distinctions that divide us, and work together to free the 99% forever from that which has always been the greatest ambition of the global elite: the enslavement of the human race.